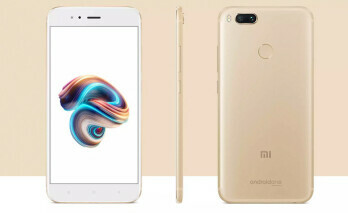 The Xiaomi Mi A1 was the first Xiaomi device to receive the stable Android 8 Oreo update but the update was rushed as Xiaomi was trying to get the update out to its users before the end of 2017. Due to the rush, they were many bugs which were left unchecked and the company had to halt the update. Since the update was a bit rushed, some bugs were actually left unchecked such as issues with some of the phone's features, including battery drainage, GPS icon, fingerprint sensor, audio quality and many more. So Xiaomi had to pull the update due to multiple negative feedbacks and promised a quick fix. Now Xiaomi has finally fixed the bugs and it has resumed roll out of the Oreo update for Mi A1 users. If you received the old update before it was halted then you just have a 90mb file to download and those who didn't install the first update will have to download 1.12GB worth of file. Some of the problems addressed in this new update includes the fingerprint gesture option, Bluetooth battery drainage, ambient notifications issue, DND volume UI problem, dial app delay or freeze and audio quality for video recording. 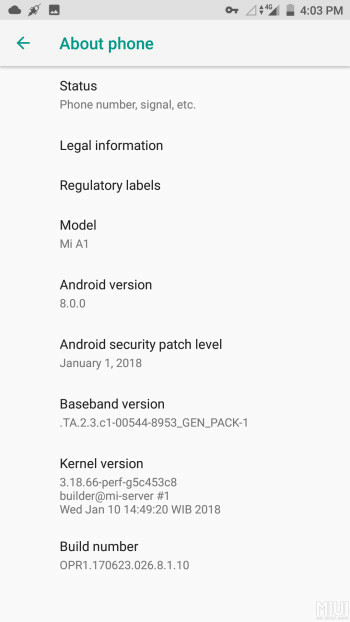 The new update also includes the latest January Security patch. Note that this update is being rolled out in batches so incase it hasn't get to you yet then all you have to do is to wait. Also make sure you have a good network connection and your phone is charged before you proceed with the update.